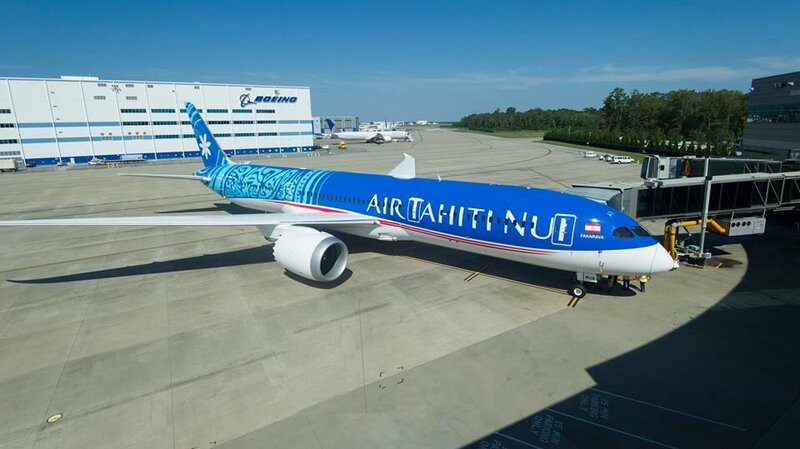 The impressive South Pacific airline, Air Tahiti Nui has received its first Boeing 787-9 Dreamliner from Boeing, via a special lease deal with Air Lease Corp. The airline will use the longest-range Dreamliner to replace its older Airbus A340s connecting its home base in the South Pacific with world capitals such as Paris, Tokyo and Los Angeles. The carrier has configured the new fleet arrival with 294 seats spread over three classes. The cabin features a new business class equipped with 30 fully lie-flat seats, along with 32 premium economy seats. "Our dream has finally become reality with the arrival of Air Tahiti Nui's first 787-9 Dreamliner," said Michel Monvoisin, Chief Executive Officer and Chairman of Air Tahiti Nui. "The Tahitian Dreamliner will make flying to one of the world's treasures an unforgettable experience, as we introduce new seats and a culturally inspired cabin on the 787. As we celebrate our 20th anniversary this year, the 787 Dreamliner will guide us toward another successful 20 years and beyond." 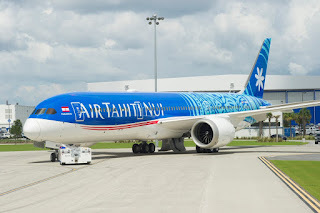 Air Tahiti Nui announced back in 2015 it would lease two 787s through ALC and purchase two 787s directly from Boeing as part of its plan to upgrade its fleet as it seeks to continue with its long-distance routes as well as potentially open up new destinations to its route network. The French Polynesia President Edouard Fritch and other government dignitaries joined the airline celebrating the milestone delivery at Boeing's South Carolina Delivery Center. "We are pleased to deliver ALC's first aircraft to Air Tahiti Nui," said Marc Baer, Executive Vice President of Air Lease Corporation. 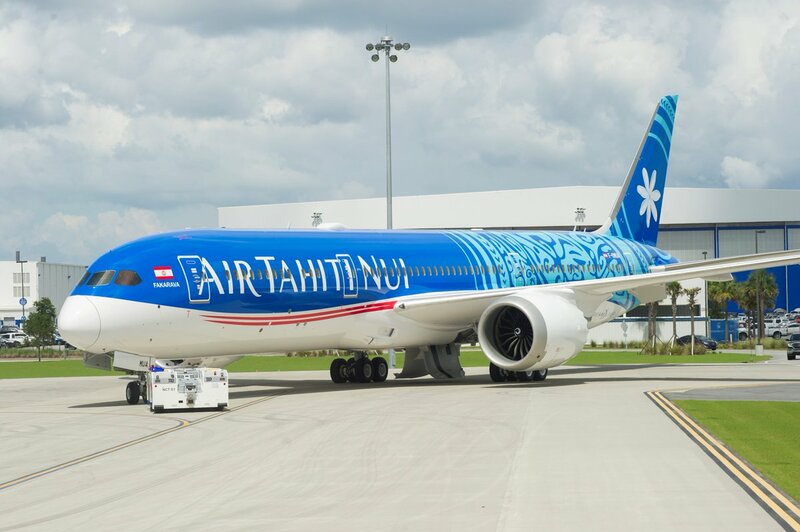 "The capabilities of the 787 will help enhance Air Tahiti Nui's commercial operations and will significantly increase the efficiency of its future fleet." 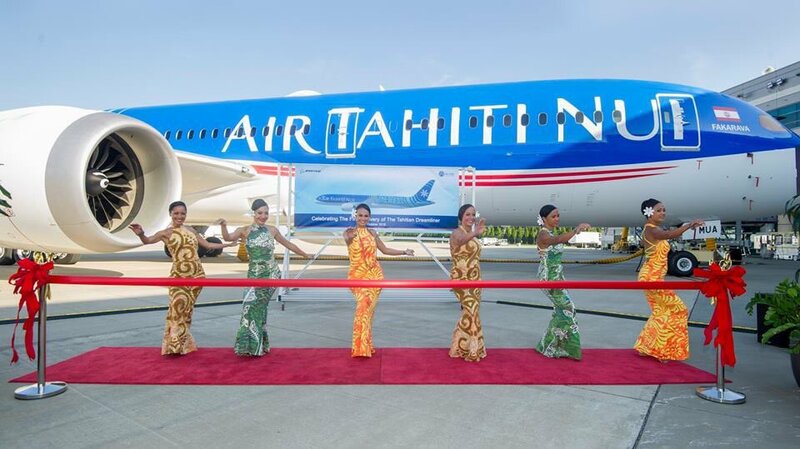 "We are honored to welcome Air Tahiti Nui as a new Boeing customer and the latest member of the 787 Dreamliner family. We are confident the airplane's market-leading efficiency and unmatched passenger comforts will transform the airline's operation," said Ihssane Mounir, senior vice president of Commercial Sales and Marketing for The Boeing Company. 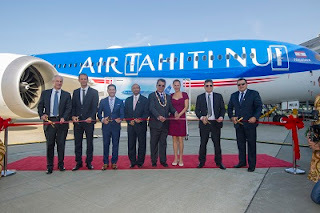 "This delivery opens a new partnership between Boeing and Air Tahiti Nui, and demonstrates the strength of our partnership with ALC.". Elsewhere, the US manufacturer confirmed it had taken over KLX Aerospace Solutions, a global provider of aviation parts and services in the aerospace industry. The deal is designed to allow Boeing to exert total control on the global aviation industry by controlling supply chains with buying out parts and services providers. The latest take-over of KLX will have a drastically negative impact on costs per item to all KLX customers other than new owners Boeing.